Best practices for your best friend. 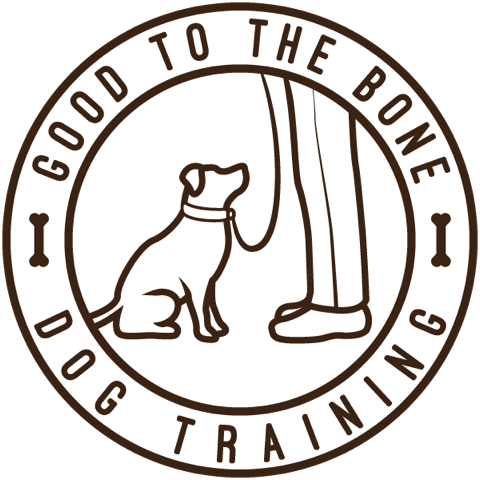 Good to the Bone combines science and kindness, manifested in a reward-based training methodology. This approach ensures better communication and mutual respect between you and your canine. It empowers owners to navigate the challenges without using fear and ensures your pooch is eager to train! Based in Astoria, Queens, Wendy is an active part of the local dog-owning community. Her passion for positive reinforcement training has driven her clients to achieve their goals for over a decade. Wendy graduated from the Academy for Dog Trainers, where she received a comprehensive theoretical and practical education, led by Jean Donaldson, one of the world-leading experts in dog training and behavior. She earned a Certificate in Training and Counseling (CTC), and is also a Certified Professional Dog Trainer (CPDT-KA) and a professional member of the Association of Pet Dog Trainers (APDT). Wendy has worked as an instructor with A Fair Shake For Youth, where she taught humane treatment of animals to middle-schoolers, helping to build empathy and self-esteem while reducing bullying. As a former part-time behavior counselor for the ASPCA, she implemented behavior modification programs and counseled adopters on responsible ownership. A lifelong animal and nature enthusiast, Lara’s career began in wildlife and environmental education. In 2012 she founded a professional dog walking and pet care company in Brooklyn, NY. Since then, Lara has dedicated herself to advancing her knowledge and experience in dog handling, behavior and training. She graduated from the Karen Pryor Academy, a leader in the field of modern dog training, and holds the title of Karen Pryor Academy Certified Training Partner (KPA CTP). While living in Colorado she taught classes to the public at the prestigious Training and Behavior Center at The Humane Society of Boulder Valley. Lara is also a Certified Professional Dog Trainer (CPDT-KA) and is continuously striving to lean and grow as a training professional, staying current with the latest developments in canine cognition, canine behavioral science and modern, force-free training principles. Alison is a Certified Professional Dog Trainer (CPDT-KA) and is a Professional Member of the APDT. She currently works closely with private clients around NYC, teaches group classes in Basic Manners and Puppy Training and is a part-time Behavior Counselor for the ASPCA. In 2015 she gave her time to a program on Rikers Island, teaching the residents there about positive reinforcement dog training. Her previous work experience includes being a dog groomer, veterinary technician, kennel and daycare employee, dog walker and pet sitter, which gave her extensive knowledge in all aspects of dogs. Alison’s fascination with dog and animal behavior was inspired by her greyhound rescue, Bella. Through that guardianship, she now has personal and professional knowledge on Separation and Isolation Anxiety. She brings knowledge, compassion and warmth to her training style. She is fully committed to using only the most ethical force-free means to train, and strives to continue learning and teaching how we can best reside, and thrive with these amazing and devoted friends.